Hello all, Diwali greeting to all of you. Today is the last day of Diwali festival and almost end of Festival Season in India. Diwali brings colors, lights, gifts, great food, decoration and wonderful family time. I experienced all these moments this Diwali. And today I'm sharing with you one of these moments, Diwali decor at my home. Here is how me and my family decorated our 'Home Sweet Home' this Diwali. As per the tradition, first thing you do on any auspicious day is drawing Rangoli. So the Rangoli outside the main door was traditional freehand rangoli with color powders. 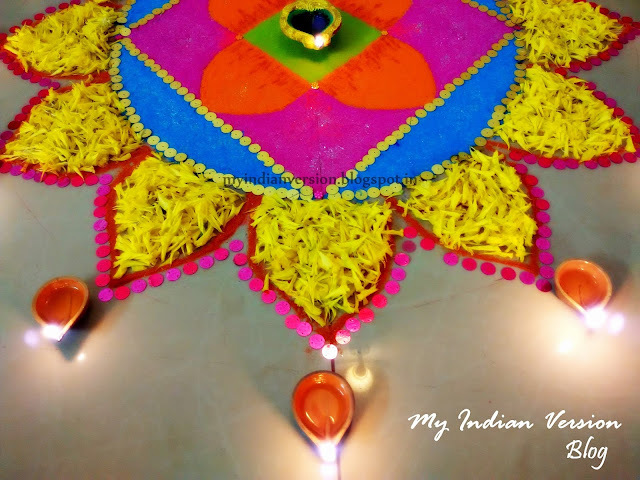 A circular Diwali diya/ lamps at the center of rangoli made it more beautiful. Another rangoli was drawn inside the house. 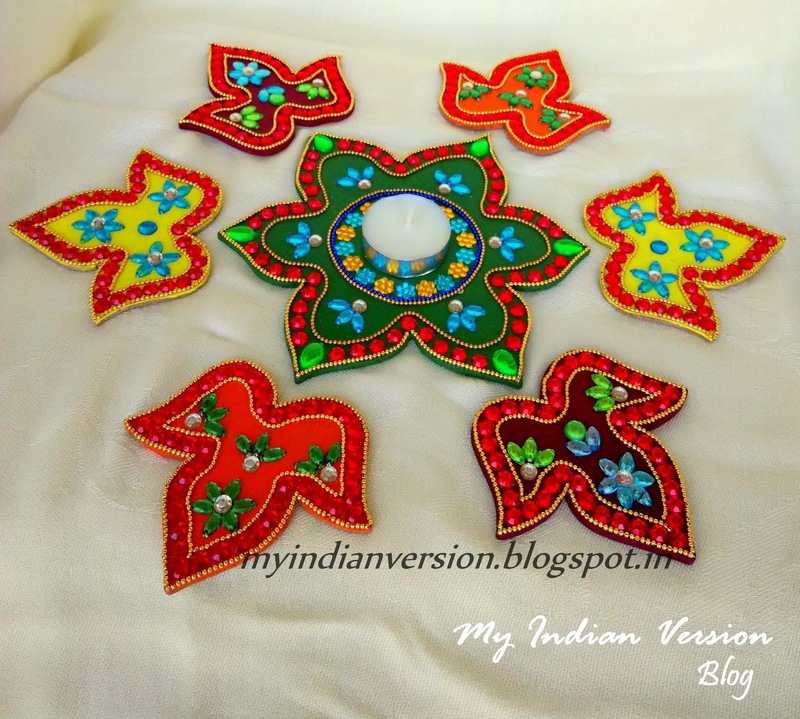 Again a traditional freehand rangoli but this time with different touch. 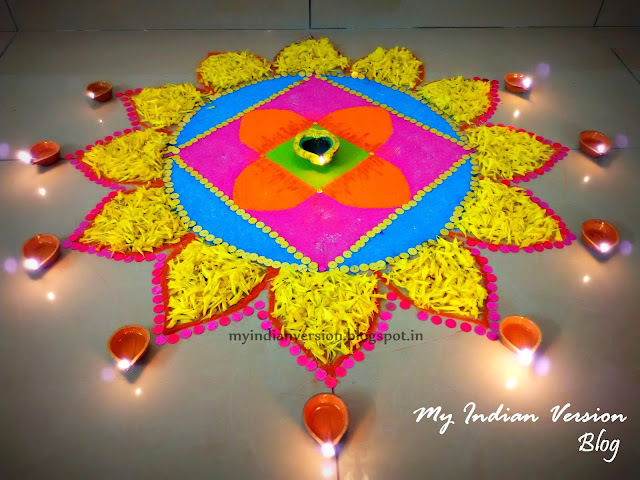 There was addition of marigold flower petals and golden and pink shiney circles (tikli). These all blended well with the Diwali diyas surrounding the rangoli. That's about traditional way of decorating house during festivals. But this time we brought in modern elements into the Diwali decorations. 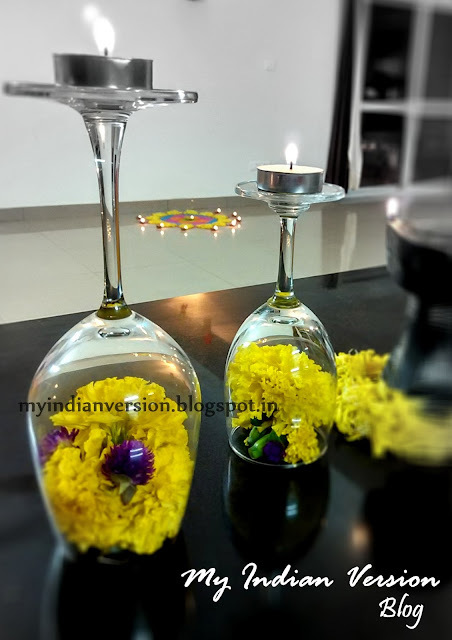 Like the first one, the DIY I shared in DIWALI SERIES : Wine Glass - Diya Centerpiece. I made similar wine glass centerpiece for one of the table in hallway. 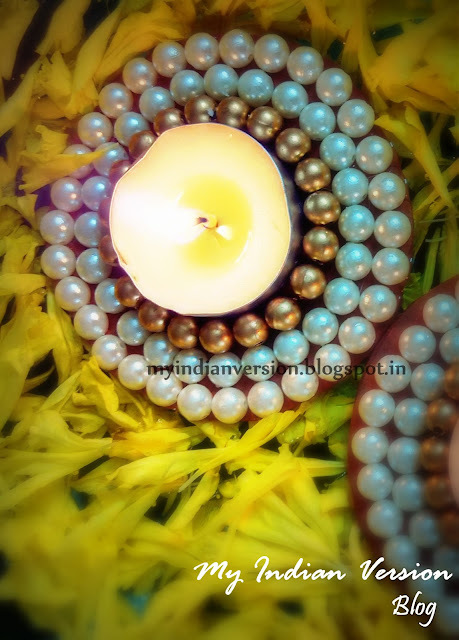 And another element was floating diya made by my sister-in-law. 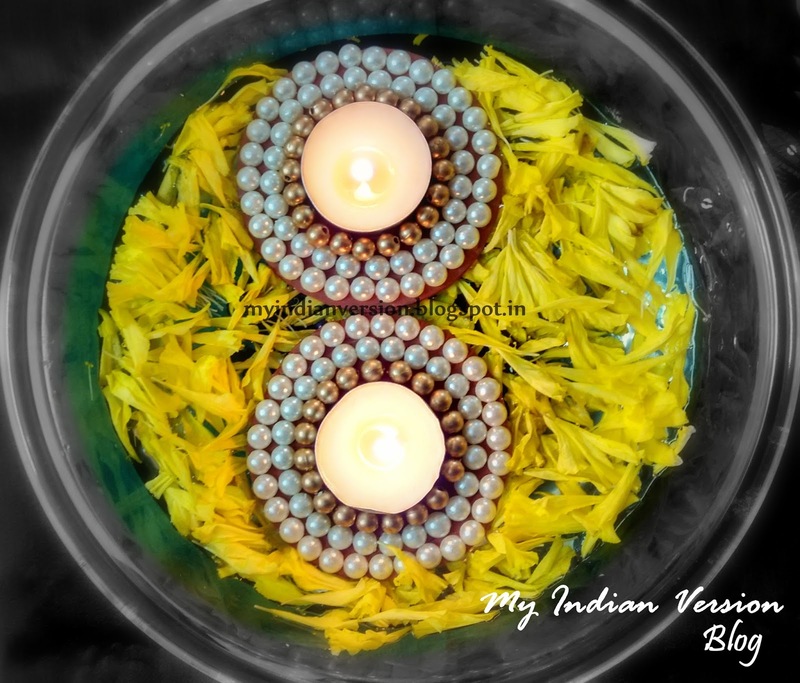 It was placed above water in a big glass bowl with some flower petals around the floating diya. 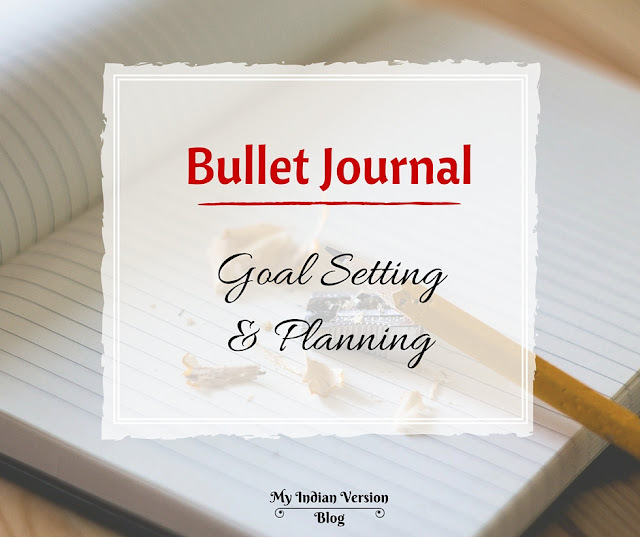 This was placed on the main center table of the hall room. It created a serene look. I also kept my DIY Kundan Rangoli around the Laxhmi Puja area. 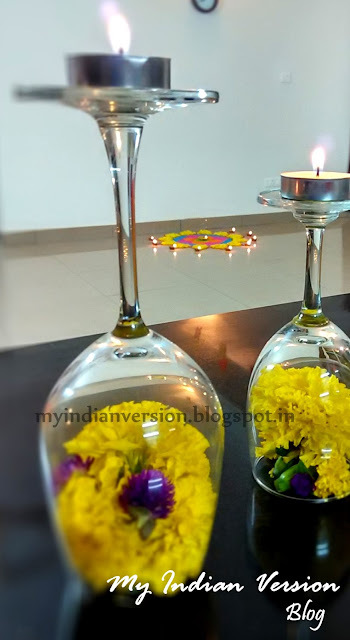 Also we had made some small Diwali lanterns last year which was glued on the divider ceiling wall and on the door entrance of other rooms. All this decorations was great fun and a nice family bonding time. So did you like the Diwali decorations? 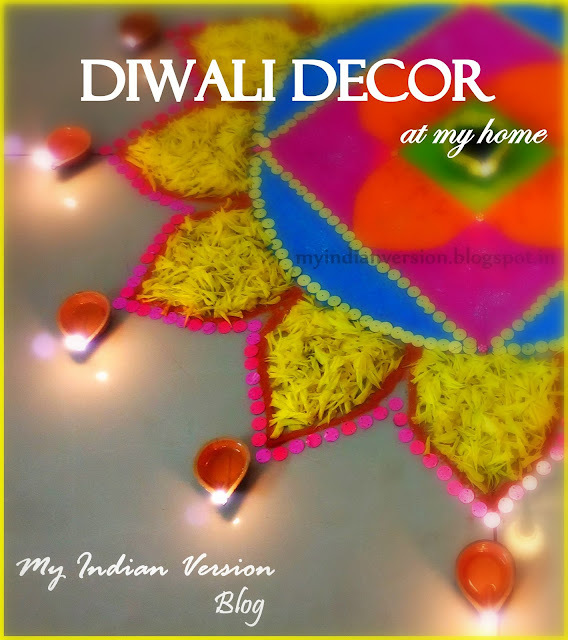 Do tell me if you want know more about any of these Diwali decoration ideas. I will be happy to share it with you. Also comment below the best DIY of the DIWALI SERIES. Wow! 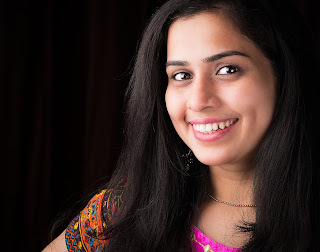 These look lovely Shweta!! Specially love the Wine glass decorations! Too good!